In late August, 1881 the Uncompahgre Utes were forcibly moved from Colorado to Utah. They settled on a reservation named for Chief Ouray. It was next to the Uintah Agency. Five years later, the Bureau of Indian Affairs decided to combine the two reservations under one Indian Agent. 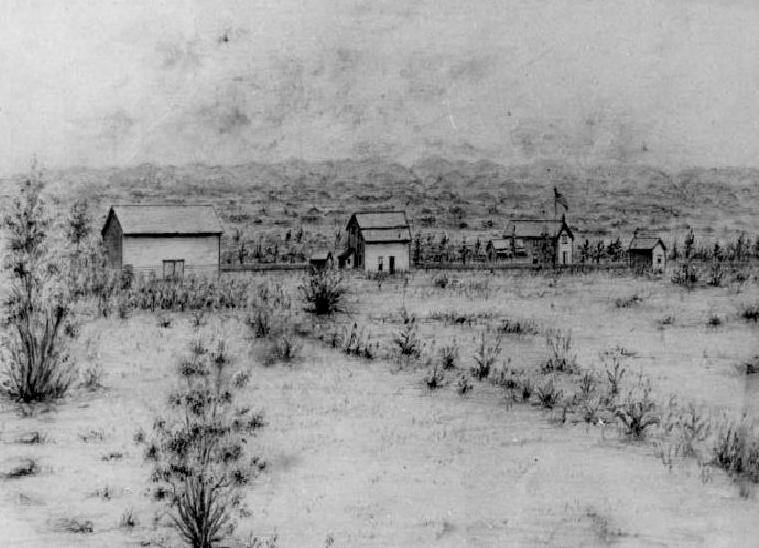 The Bureau decided a military base was needed to keep the peace between the Uintah and the Uncompahgre Utes. In late August 1886, General Crook marched a company of troops across the Ouray reservation. Panic spread among the Utes as runners carried the news of an invastion of soldiers. No one had bothered to inform the Utes of plans for a military post. The troops arrived at their destination to meet a contingent of mounted warriors, painted and armed for battle. Fortunately, the Indian Agent arrived just ahead of the troops. He was able to facilitate a peaceful meeting with General Crook. Fort Duchesne was built and eventually housed 250 soldiers. 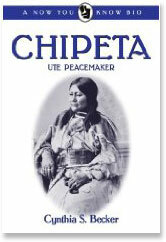 Information from Chipeta: Queen of the Utes. Used with permission.